We've been to Preston a few times before this visit. Once to see Belle and Sebastian at the Guild Hall (fantastic gig) and the other times we were just passing through. Preston is in the heart of Lancashire and it seems all roads lead to (or from) Preston. It used to be a northern town, but in 2002 it was granted city status as part of the Queen's Golden Jubilee. It's just - *whispers* I'm not that inspired by the place. Getting to Preston is dead simple from Manchester - take the M60, M61, M6 and whatever junction you fancy. Obviously as it's a city the locals will know where all the free parking spots are, whilst for us visitors we make do with the paid car parks. I decided to use the car park above the bus station. Weirdly this car park, an example of brutalist modernist architecture, has been at the centre of a campaign to get listed building status to stop the Council from demolishing it. It has now been cleaned up and admittedly looks alright from the outside. However inside the car park it's still your 60s grim, concrete relic. Personally I'm with the Council on this one as it's an awful building to use, but the locals seem fond of the place. A short walk from the bus station is Preston Market. It has the largest Victorian canopy I've ever seen. It's just vast and probably looks bigger as its built on a slope. We got there at 3pm and everyone was shutting up their stalls. It did seem to be your standard sort of market, nothing that exciting. However it's vast and seems out of place surrounded by 60s concrete buildings. I suppose Preston is one of the major cities in Lancashire. So it's no surprise it has the usual high street names populating the streets and the shopping centres. Although it does have a good selection of charity shops. As we only had a couple of hours the charity shops were our priority. Neil managed to pick up a Queen compilation album for £1. It was in excellent nick too. Part of me regrets not buying a little writing bureau I saw in YMCA. There is a good Oxfam books opposite the Harris Museum and Art Gallery. I'm afraid I lost Neil to the records section there. So I decided to leave him there and have a wander. Architecturally speaking Preston seems to be having a fight between the grand Victorian buildings and the featureless 60s concrete blobs. 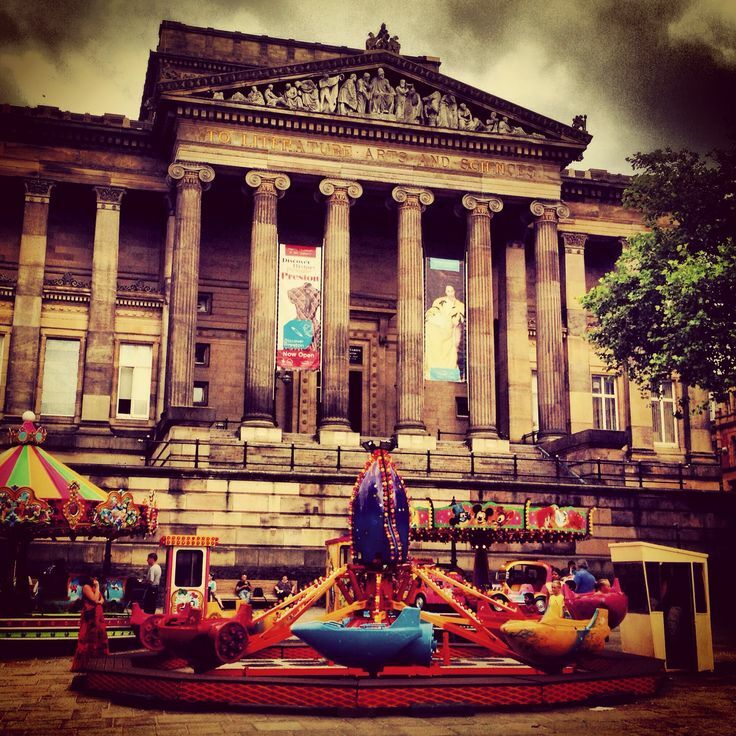 The Harris Museum and Art Gallery is an epic building, which dominates the town square. If I had the time I would have got lost in there, but time was ticking. 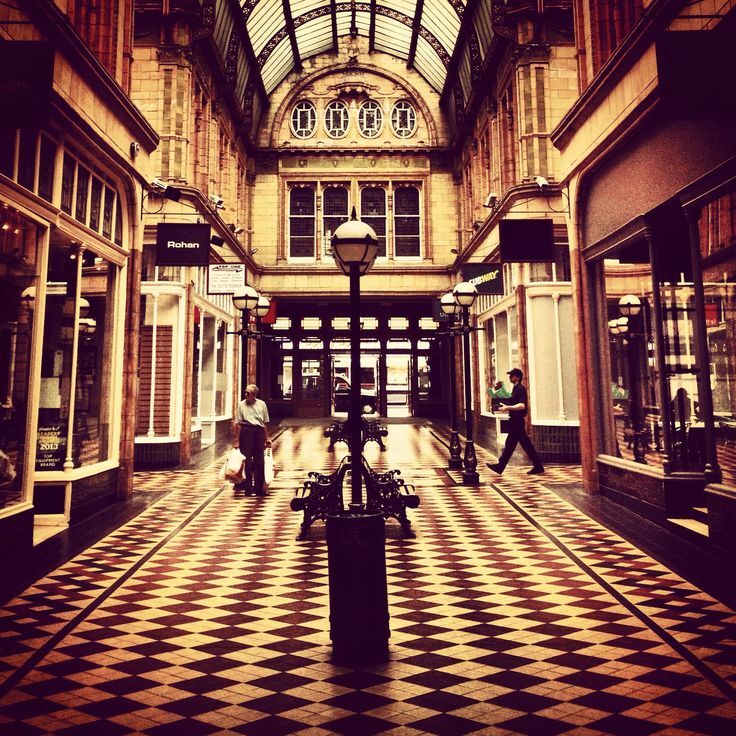 Nearby is Miller Arcade and this is just a lovely Victorian shopping arcade with cream and black chequerboard tiling and wrought iron atrium, designed in cross shape. I had a brill time photographing the place. You can get some fantastic symmetrical shots. Simply it would be hard to take a duff shot here. Unfortunately the arcade wasn't as busy as it should have been. Just the odd soul, like myself, having a wander through. The other thing I noticed about Preston is that it's full of lovely looking Victorian pubs. I'm sure some of the pubs have scary clientele, but they look very inviting with their well preserved period features, glorious hanging baskets and the promise of weirdy-beardy beers. 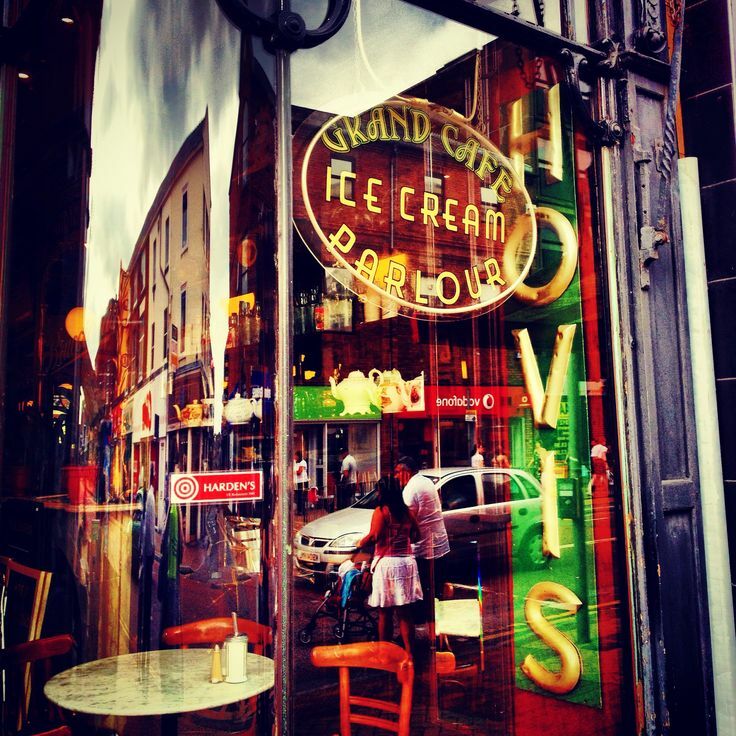 There was also a café called the Grand Café and it had the most lovely frontage with bevelled glass and period features. It would have been nice to have an ice cream here if it wasn't so late. This place really wouldn't look out of place on a Parisian street with people sat at pavement tables, smoking Gitanes and mulling over their espressos. I found it quite easy to get lost in Preston. The city centre seems to be designed on a sort of loose grid pattern of narrow streets. Some were pedestrianized, some were not. We simply needed more time to explore the place as the side streets seem to show more promise of independent shops, rather than the shopping centres on the main streets. This is very much a student town and I'm sure as a student you would have fond memories of this place. It's small enough for students to develop their own close knit communities unlike Manchester which can be too vast and scary for new students. Tick, tock the clock moves on - our time was up. Sadly every time we've been to Preston we've never had the time to have a good wander around to really get to grips with the place. Neil made a few record purchases, so I know it won't take much persuading to get him back here. This could be a nice city, but the blobs of brutalist architecture and unimaginative modern shopping centres really let this place down. Don't get me wrong I do like modernistic architecture with beautiful lines and imaginative shapes, it's just they got it wrong in Preston.